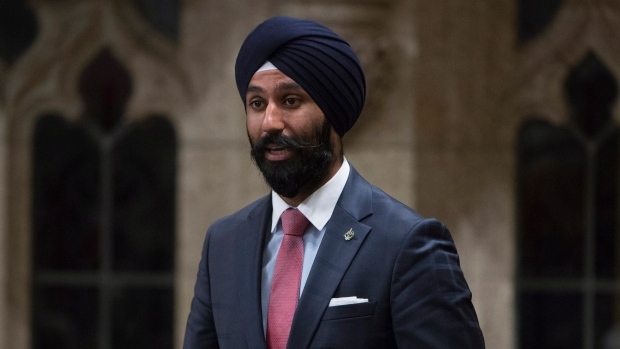 OTTAWA -- The House of Commons ethics committee has voted down a motion from opposition members to hear from the Privy Council clerk about who knew what and when concerning MP Raj Grewal's gambling habit. The move by the Liberal-dominated committee prompted Conservative MP Peter Kent to suggest government members were trying to hide something related to their former caucus colleague. Grewal is considering his future in politics as he takes a leave to deal with what he calls a compulsive gambling problem that caused him to rack up millions of dollars in debt. The MP for the Toronto-area riding of Brampton East says he has fully repaid his debts and is now rethinking a hasty decision to resign from the House, though he is no longer a member of the Liberal caucus. A source with knowledge of events has told The Canadian Press that the RCMP began looking into Grewal's casino gambling based on reports of unusually large financial transactions. Word of Grewal's gambling debts also surfaced in a much broader police probe into other people suspected of money laundering and terrorist financing, the source said. In a statement posted late last Friday on his Facebook page, Grewal said he began visiting the Casino du Lac Leamy in Gatineau, Que., in early 2016, running up personal debt in the millions of dollars playing high-stakes blackjack. He started to borrow money from family and friends to continue to gamble. He said everyone has been paid back and each loan and repayment is transparent and traceable. Joel Etienne, a lawyer for Grewal, said in an email this week that the money owing was subsequently repaid by family members. However, Grewal has not responded to requests for an interview and opposition MPs want to know more about his financial dealings. New Democrat MP Charlie Angus told the ethics committee Thursday that an MP who owes millions of dollars from gambling is a security risk. The mention of Grewal's debts in the context of a wider investigation into money laundering is "deeply concerning," Angus said. Grewal was a member of the Commons finance committee, so the Privy Council should have been made aware, he added. There should be protocols to ensure the prime minister knows of such risks, making it an important issue to study at committee, Angus said. Kent said there are serious questions concerning details of what the Prime Minister's Office was told as well as about the source of funds used to repay Grewal's loans. 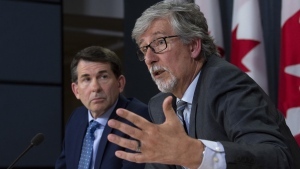 Opposition members had initially called for a briefing with the Privy Council clerk-- the top federal bureaucrat -- as well as officials from the Prime Minister's Office. The motion was narrowed to propose testimony solely from the PCO clerk, but still failed to pass. "What are the Liberals hiding from Canadians?" Kent later asked during question period in the House. Liberal House leader Bardish Chagger accused the Conservatives of "trying to politicize committees of this House." The federal and B.C. privacy watchdogs say Facebook's ineffective safeguards allowed unauthorized access to the information of millions of the social-media giant's users -- including data later used for political purposes.